I guess now would be the right time to say that this race isn’t really called the Valentine’s Massacre Marathon Relay. For some reason, about two weeks ago, the race organizers decided to rename it the “Run4Relay.” None of us are really fans of the new name and we hope the organizers will consider their decision an error in judgment and return to the old name. 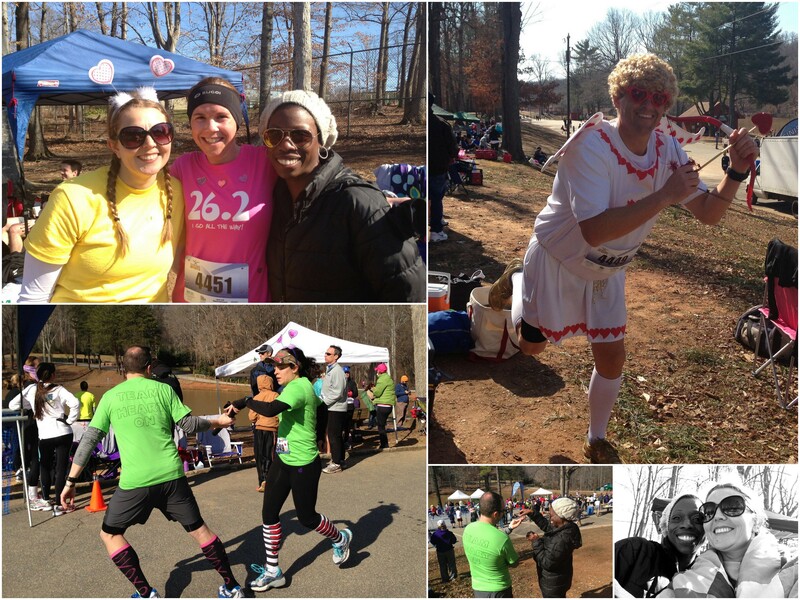 The Woo Hoos were split and scattered over several teams with our friends from other running groups. 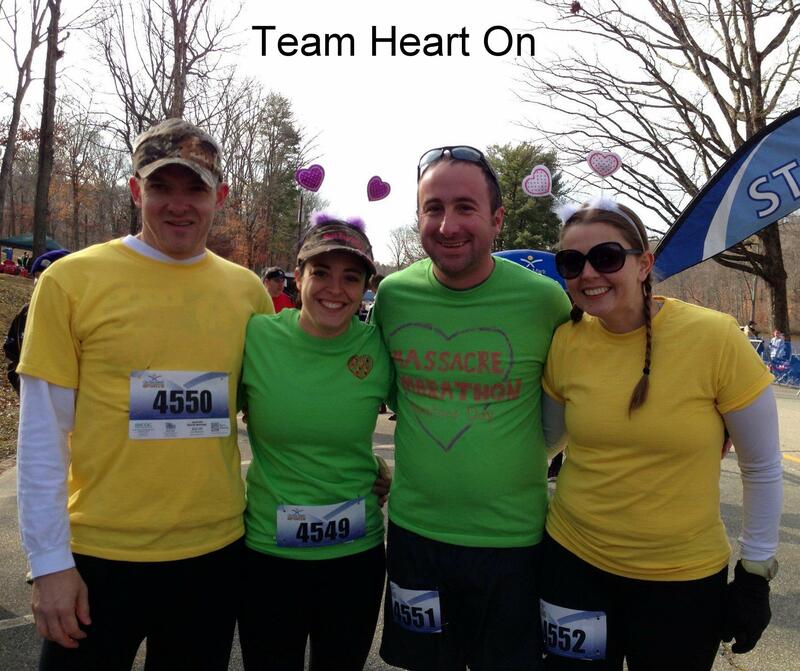 We only had one team that was straight up Woo Hoos, Team Heart On (Daniel, Katie, Cara, and Russell). A couple of the other Woo Hoo runners included Ralph and Mel J. The race went well for everyone and we found it amusing that all of the teams we were split across finished within just a couple of minutes of each other. As is typical with this event, folks arrive well before the 10 AM start to set-up camp and get settled in for the day. Daniel brought a tent and table for the space we planned to share with friends from several other teams. We were particularly thankful for Andrea volunteering to bring us coffee. It was great to have a few sips of that between legs to help us warm up. Fortunately, the weather this year cooperated. In past years, this has been a super cold, and on one particular occasion, icy race. Race day started out chilly, but by the end the sun was out and everyone was starting to lose their layers. We’re still waiting for the final results of the race to be posted, but it looks like we ran it at an average pace of about 8 minutes. More importantly, we all had a great time running and relaxing with some of our closest running friends!